The product you are holding is an ode to the beauty of the Greek land and the glorious products it so generously offers. The finest olives that grow in the green and lush region of Ancient Olympia are cold-pressed within hours from harvest, producing a superior quality extra virgin olive oil that is naturally rich in phenolic compounds, such as oleocanthal. 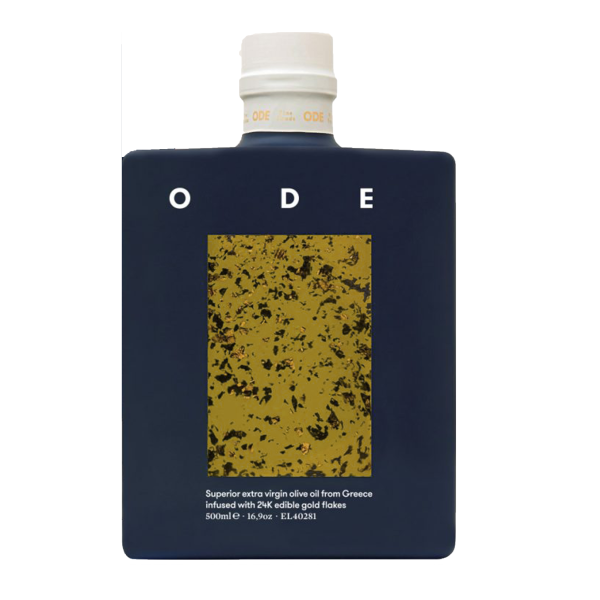 This fragrant olive nectar boasts a slightly spicy aftertaste and is best used raw, drizzled over fresh seafood, pasta or served with warm bread. The product you are holding is a treat for both your eyes and your delight. The finest olives that grow in the green and lush region of Ancient Olympia, famous for producing exceptional quality extra virgin olive oil with a higher content of phytonutrients such as oleocanthal, are cold-pressed within hours from harvest and blended with 24K edible gold flakes, an ingredient used by the ancient Greeks and Egyptians as a precious elixir. The final luxurious product turns any dish into a nourishing work of art. 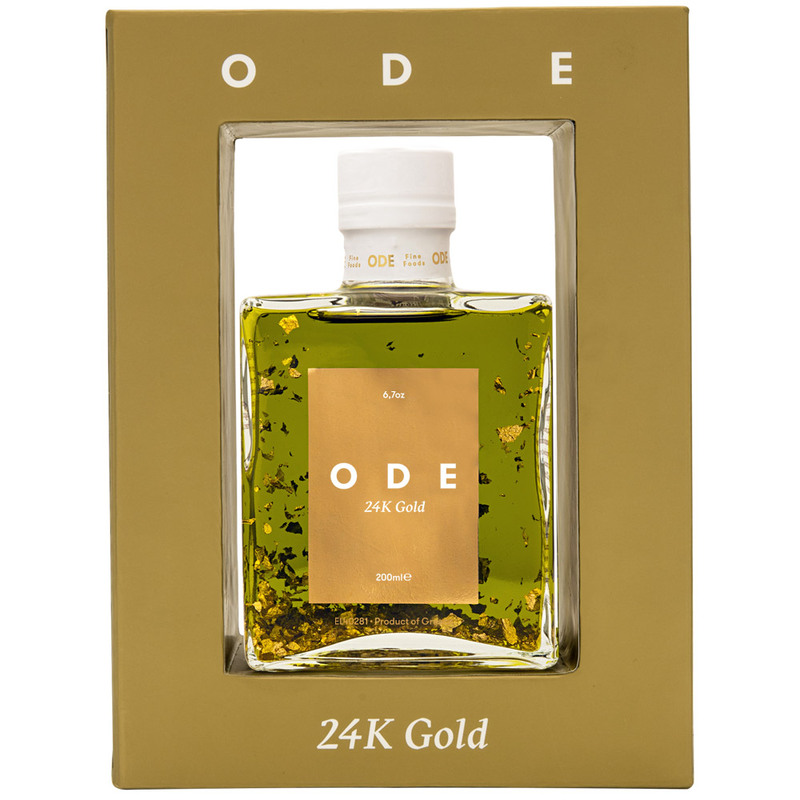 Superior extra virgin Greek olive oil infused with 24K edible gold flakes. 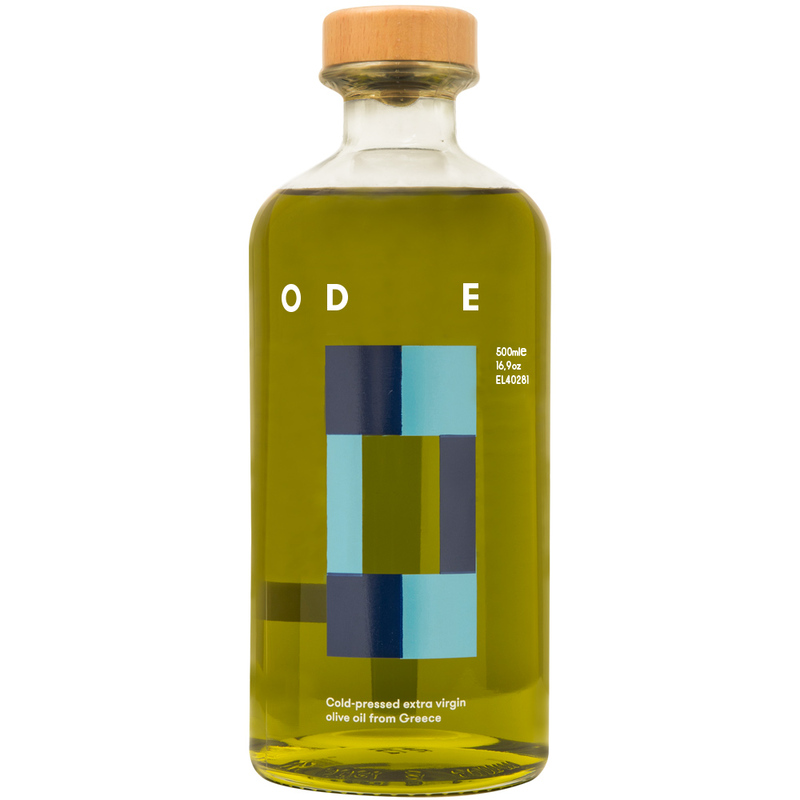 The limited product you are holding is produced from finest olives that grow in the sacred region of Ancient Olympia, famous for producing exceptional quality extra virgin olive oil. A sacred food produced in an annual edition of 333 pieces for an equal number of exclusive owners. The gold-stained glass bottle with hand-gold-plated sides is placed inside a gold – stained handmade luxury box.